Fort McMurray was still a city, being run at the time by Mayor Betty Collicot, now retired and living in Saskatchewan. The youth theatre program, which had thrived in the absence of drama being taught in the high schools, raising $20,000 - $30,000 annually to run a Summer Theatre Camp, was at the point where its focus needed to change. The school were beginning to offer quality drama instruction and there was a concern that efforts with the summer camp were becoming rather "elitist", serving only a nominal number of kids. Patricia (Pat/Trish) Blackburn and Mike Singleton sat down following a board meeting one night and sowed the seeds of interPLAY over a frosty beverage. "We both felt that we'd like our volunteer efforts to be more broadly available to youth," wrote Mike Singleton in an email. "We decided to create 'InterPlay', primarily modelled on the Fringe festivals but with a focus on youth." They wrote the necessary bylaws and registered the non-profit organization with Pat as President and Mike as Vice President. "Initially we had thought to create the festival as a sub-committee of the then 'Grand Poo-Bah' of the arts in the Fort, the Fort McMurray Arts Council, but when they wanted to approve expenditures over $20 we literally gave them the 'bird', Pat and I stood up together and left the meeting. We were thinking in much bigger terms than they were." Alan Roberts, current Director of Keyano Theatre & Arts Centre, was recruited as Technical Director and Karen Towsley, then a drama teacher at Westwood Community High School, was brought on as Program Director. There were others who joined the effort, but in Singleton's recollections, it was these four individuals who took on the majority of the work to get things organized for the first interPLAY in August 1990. "We had great support from Betty Collicot, the mayor at the time, and with the exception of one small business owner, Julie's Jewels, all the stores across the street from city hall were very supportive," he wrote. "Betty even arranged for city crews to hang bunting and flags between street lights and for strings of bunting from the rooftop of city hall down to the bus stops and lights on the street." Creating something from nothing is always an onerous task. But creating performance spaces away from traditional venues and in Jubilee Centre was particularly challenging. "Without Alan it would never have happened," effused Singleton. "What he and his volunteer crew did to turn everyday spaces in and around city hall into performing venues was magical. As usual in Fort McMurray, there was an amazing response to the calls for volunteers to do all the unseen work like setting up tents, organizing garbage cans, working front of house, working security, etc." It was on Karen Towsley's shoulders to recruit the talent and the shows that would create the impact of the first iteration of interPLAY. Programmed just before the Edmonton International Fringe Festival, the Fort McMurray event was able to tap into a number of world-class shows thanks to Karen's efforts. "I've never forgotten that one act from New York," recalled Singleton. "(It was) a one man story teller, that came to the Fort and cancelled a conflicting performance because he had heard about how good the quality of theatrical productions were in Fort McMurray, and that was when we only had the amateur group." 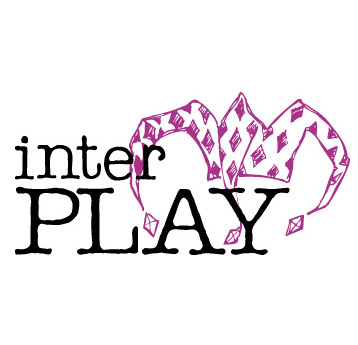 The first interPLAY Festival was a great success, running without a hitch and to great fanfare. Nobody could have possibly known what was lurking off in the distance. As the events came to close around 4 pm on Sunday, with all the tents on Franklin Avenue being emptied by 4:15 or so, the excitement started. "Then it hit, a microburst, with wind that the weather station measured as the highest ever recorded at the time, well in excess of 100 mph," he wrote. "Every rented tent - I think we had a dozen - was rolled into a ball. One of the bus stops with bunting from the city hall roof tied to it was ripped out of the ground and it, and the attached ball of concrete, proceeded to beat up city hall, inflicting the equivalent of 'Grievous Bodily Harm' to the building. Across the street from city all, the only damage was the felling of a street light which proceeded to crash into the window of one - and only one - store. Yep, it was Julie's Jewels. Thankfully, no-one was hurt." Fortunately, the tent rental company had insurance as did Julie's Jewels. Bunting was never strung from city hall to the ground again and while interPLAY was shaken and stirred, it carried on. Over many long years, tens of thousands of hours of volunteer time, hundreds of thousands of dollars in sponsorship support, and talented artists from Fort McMurray and around the world, interPLAY has grown into our community's signature summer festival and an event that is known and respected across Canada and well into the United States. A conversation over a pint in 1988 is directly responsible for igniting a chain of events that has resulted in 22 interPLAY festivals, several dinner theatre productions, WinterPLAY - western Canada's largest celebration of winter, the creation of Events Wood Buffalo, KISS playing in Fort McMurray, and a list of moments and memories a mile long. To Mike Singleton, Trish Blackburn, Alan Roberts, Karen Towsley, and all the brave souls who dared to dream the dream of interPLAY and all of those who fanned its flame and helped it grow over the last two decades, we owe a debt of gratitude. We also have an obligation to keep the dream alive and see where it can take us next.